This is why I think looking for radio signals from aliens is a tad optimistic. 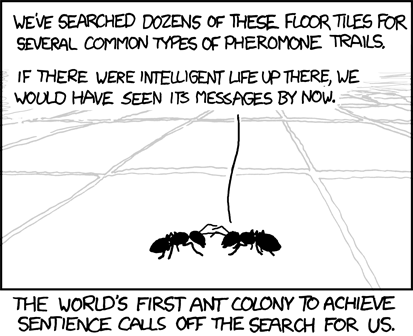 Randall Munroe nails it. Again. This entry was posted in Fun, Publicity. Bookmark the permalink.